Living a healthy life can be difficult at times. After all, many people are attempting to consistently exercise and eat healthy, all while maintaining a steady job and a family. The stress of it all can be overwhelming! As a result, many people are turning to a more natural approach in order to live a healthier life. They’re often looking for balance, and a “leg up” on health when the going gets tough and when it’s hard to follow through on healthy commitments. Thankfully, these five essential oils are like a friend, who helps you out of a rut when you need it most. This calming, relaxing essential oil is perfect for helping your mind relax and dropping your energy levels for a good snooze. A good night’s sleep is often overlooked, but it’s arguably the most important aspect of health. Sleep allows your brain and body to decompress, heal and regenerate to become a better and more relaxed version of yourself. Eight hours of sleep is the standard for a good night’s sleep (1), but getting into the deep restorative sleep is what dictates the quality of your rest. If you have a poor eight hours of sleep, you’ve essentially just had ⅓ of a bad day before you even woke up! If you’ve been having trouble falling asleep or staying asleep, add lavender essential oil into your nightly routine. Simple apply 1 drop topically or place in a diffuser for an aromatic ambience. Applying lavender essential oil to the bottom of your feet and pillow is also a method commonly used to fall asleep. 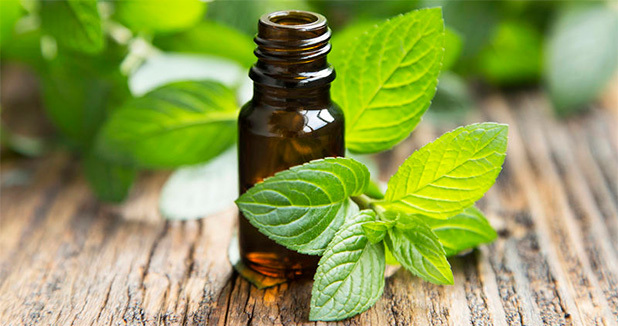 Peppermint essential oil can be one of the greatest assets for people looking to lose weight and curb appetites. 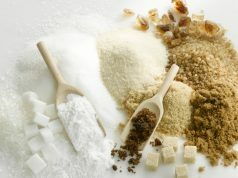 One of the largest difficulties for people looking to lose weight is the incessant desire to snack on small things (2). As you probably know, those small snacks add up. Enter peppermint essential oil. Peppermint is renowned for its ability to support digestion (3), boost energy, improve focus, and relieve muscle pain. Simply apply a drop or two topically or drop into a diffuser and allow the scent to do its magic. Ginger essential is incredibly helpful for improving digestion (4), reducing inflammation, relieving nausea, and supporting your joints. Your body goes through a lot on a daily basis. Everything from frequent exercise to even sitting down taxes your body. With its ability to reduce inflammation, ginger essential oil (5) gives your body an extra hand to focus on healing and feeling better. Eucalyptus essential oil is popularly known for its pleasant smell, but it’s also a powerful aide for those with respiratory issues (6) caused by allergies or conditions like bronchitis. Eucalyptus largely owes its antispasmodic, decongestant, and expectorant properties to a compound called cineole, which helps to ease coughs and combat upper respiratory issues. It’s ability to improve breathing and create a healthy ambiance is why eucalyptus is often used at spas and massage parlors. If you’re often in situations where there is dirty, dust, or pollen around, you will likely see huge improvements from occasionally using eucalyptus essential oil. To use, place a few drops in a diffuser and allow the aroma to cleanse your breathing. Frankincense has been around for thousands of years, mostly in religious and spiritual settings. Its benefits include brain support, building immunity to viruses, reducing inflammation and it could even help the body fight serious diseases (7). Those benefits aside, frankincense (8) is very good at putting people in an introspective and contemplative mood. This mood is very conducive for meditation, which is a very helpful way to reduce stress levels. 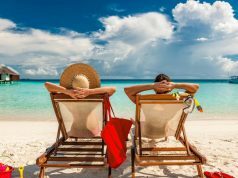 The high and low level stress we accumulate in our days can cause havoc to our health, so the more ways you find to reduce it the better off you will be. Isn’t it incredible what essential oils can do for the body? These really give you the boost your body needs to help you live a healthy lifestyle! That’s not the only essential oils to “befriend” either, though. According to the article, it’s also important to invest in lemon essential oil, as well as in myrrh essential oil. Both of these can work wonders for your health. For one, lemon essential oil is vital in helping to cleanse the body. You can also use it in substitution for cleaning products. Myrrh essential oil is also a great antiseptic, and is necessary for balancing your hormones.